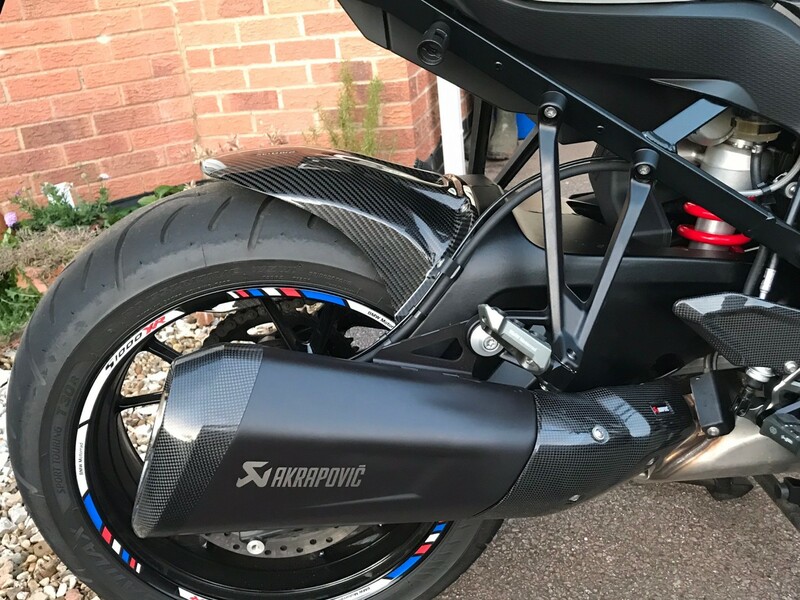 Akrapovic exhaust, mototech oil and water radiator guard and Ilmberger carbon rear hugger. Well happy, and love the exhaust popping on run over..
I’m thinking some GB Racing engine/ clutch covers........then leave it for a bit. 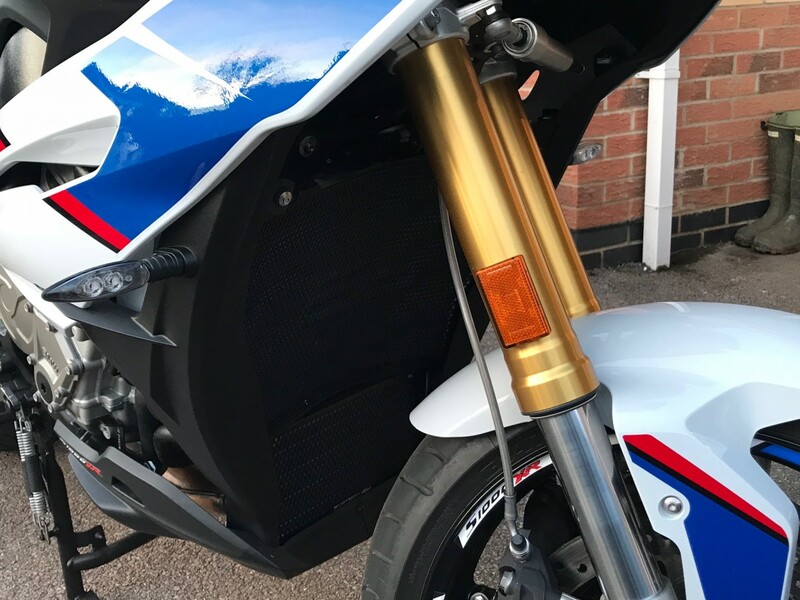 We didn't get that big "mud guard" fender thingy here in Aus.. Am really liking the "Motorsport" colours of the new '18 bikes though. This is a pic of mine with the stock rear end on it..! Sans pannier scaffolding and pillion pegs of course..! 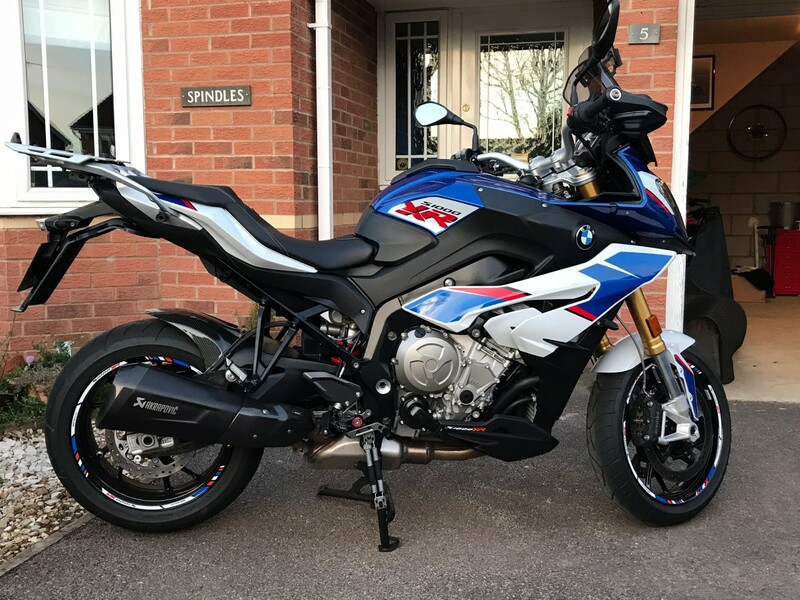 Cheers.....black can suits the bike me thinks.